An influx of these stresses can also cause gastrointestinal or stomach problems. Generally, these are the symptoms of short term stress. Examples of short term stress can include one's response to a traffic jam or large piles of work. Sometimes these acute events of stress happen too often and our body does not have time to recover. One can have other forms stress for a long periods of time as well, and these chronic stress can be due to a difficult job or a disease. Chronic stress can weaken body’s immune system, making a person more likely to get sick. 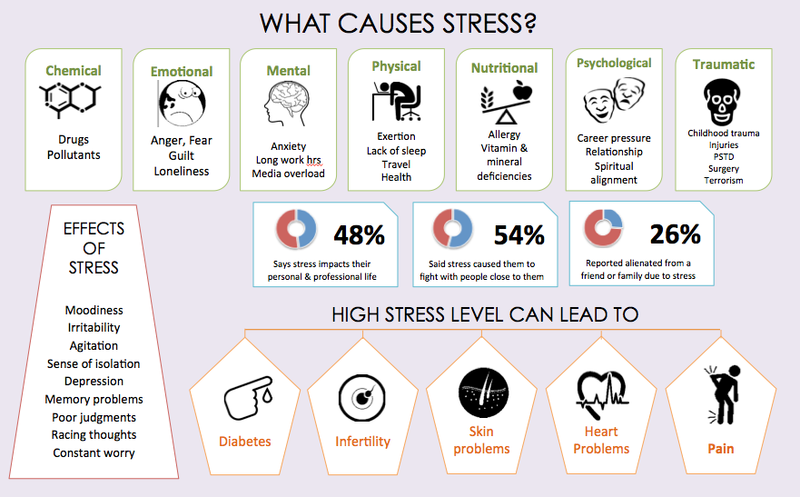 Chronic stress can affect heart, sleep, digestion, weight, memory, and skin. It makes medical sense to consult a doctor if you struggle with constant stress. There are many ways to reverse what stress does to you. The most powerful weapons are exercise and meditation which involves breathing deeply and being aware and focussed on your surroundings. 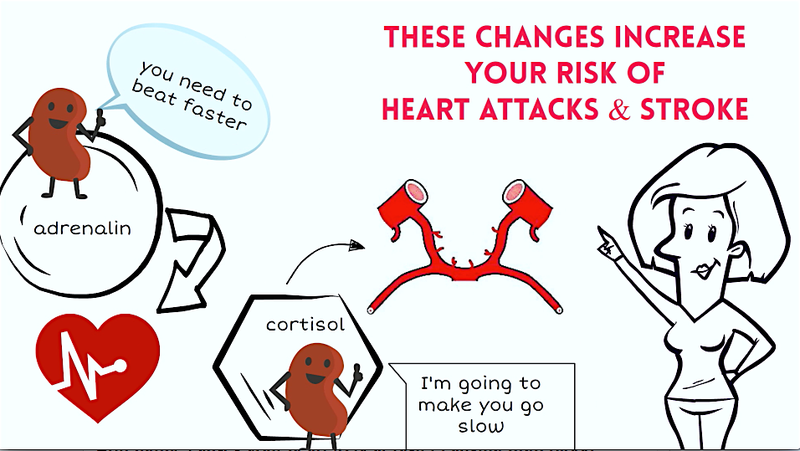 How you eat, how active you are, how you sleep, and how you cope with stress in everyday life - these small choices can have the biggest impact on your overall health and on your risk of developing heart diseases or experiencing a serious heart incident! So, greet every morning with open arms, enjoy your moments in the day, and say thanks every night with a full heart to recharge for next morning! 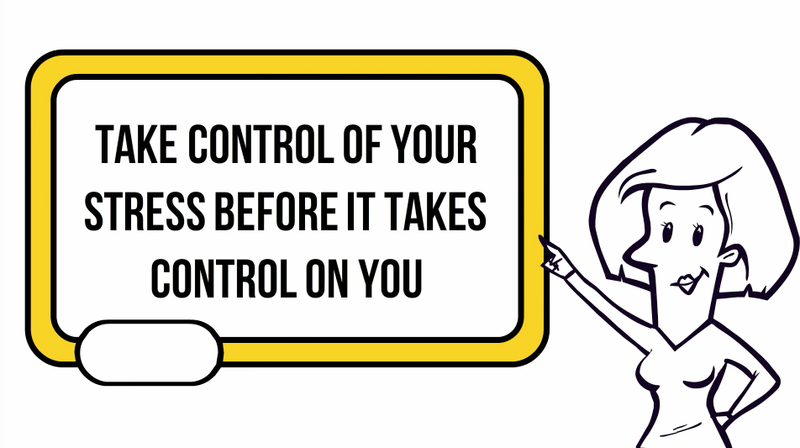 Get in control of your stress before it takes control on you! !